A hands-on, introductory book about managing infrastructure with HashiCorp's Terraform tool. Start small and then build on what you learn to scale up to complex infrastructure. Written for both developers and sysadmins. Focuses on how to build, test and run infrastructure and applications with Terraform and integration with tools like Consul. Buy the book at Amazon on Kindle, Google Play, or on Nook. 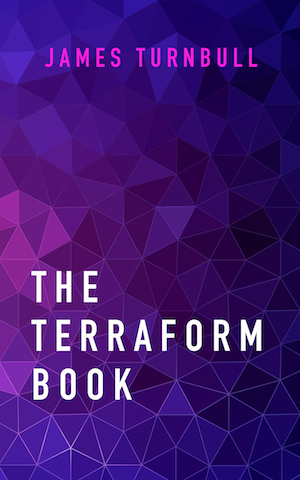 If you're interested in hearing more about The Terraform Book or want to know when updates are released join our mailing list.